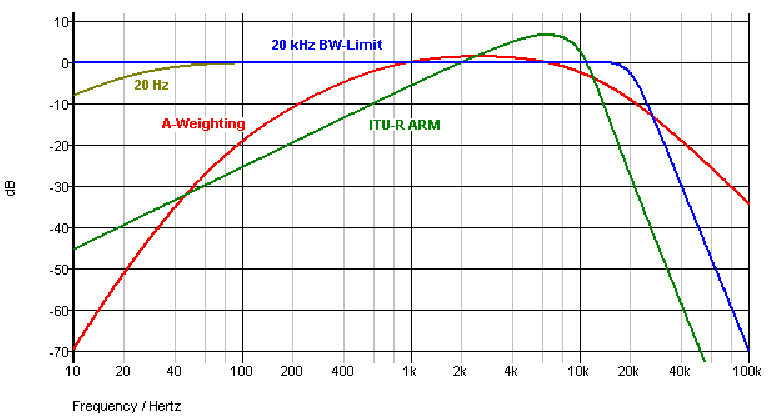 Simply put A-Weighting refers to introduction of a filter to reduce certain frequencies when measuring sound in order to obtain results that match better with the frequency response of our ears / audition. One thing is important to mention here. Though A-Weighting has many important uses or applications, some audio gear, even pro audio gear manufacturers use A-weighting when making measurements for the specifications for their gear in order to disguise poor performance. was added in our Music Production Glossary Database on April 19, 2018 and it has received till now 71 views. The article tries to bring you an idea of what is "A-Weighting", or at least, a definition of the term: "A-Weighting".